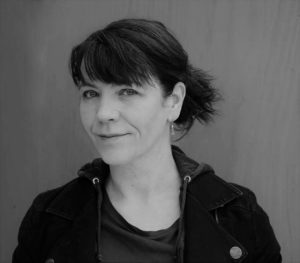 Regina Crowley has worked professionally in theatre since the late 1980’s and is a founder member of Gaitkrash Theatre Company. She is a Designated Linklater Voice Teacher and has led workshops both nationally and internationally, most recently in Japan and China. She has trained with Yoshi Oida, Enrique Pardo, Lorna Marshall, Bella Merlin, Fiona Shaw, Phillip Zarriilli and the Moscow School of Cinematography among others. She has collaborated with artists across a number of disciplines including visual artist James Coleman. Recent roles include Mouth in Beckett’s Not I, W2 in Beckett’s Play , Juno in O’Casey’s Juno and the Paycock and Clare in Playing the Maids. Directing credits include Romeo and Juliet, The Merchant of Venice , Sleepwalking (based on the short prose of Franz Kafka) and The Possibilities by Howard Barker. She lectures in Voice, Performance and Directing at the CIT CSM.